Uganda is one of the most sought after tourist destination for this year and the years to come and has been ranked among the best African countries to visit. Many people visit Uganda give tell us that it is because of its diversity and is among the 3 countries where the endangered mountain gorillas can be trekked today. In today’s write-up we look at Uganda beyond gorilla trekking only in the two parks of Bwindi Impenetrable National Park and Mgahinga gorilla national park. We bring to your understanding other Uganda safari tourist activities and attractions that you can go for or combine with gorilla trekking in Uganda. Winston Churchill in his write ups named Uganda as the “pearl of Africa” meaning that this country offers a lot beyond gorilla trekking safaris. There is no doubt that gorilla trekking is one of the most sought-after activity in Uganda but beyond gorilla tracking, Uganda boasts of a number of national parks, rivers, lakes and forests . Uganda is also famously known as the “primate capital of Africa” and beyond gorillas, you can track chimpanzees of Kibale Forest National Park, Kyambura Gorge in the southern part of Queen Elizabeth national Park, Kalinzu forest and Budongo Forest. Golden monkey tracking in Mgahinga Gorilla National Park and as such there is much you can do while on a Uganda safari and that’s why at prime Uganda safaris gives you tailor made Uganda tour packages that are just way beyond gorilla trekking. One can also enjoy wildlife in national parks of Queen Elizabeth, Murchison Falls, and Lake Mburo on a game drive or boat cruise on water bodies in these National Parks. Many people come to Uganda for gorilla trekking and also continue to Rwanda, Congo and Tanzania for game safaris. Prime Uganda Safaris combines both gorilla trekking and Uganda wildlife safaris to make your stay memorable. For the mountain climbing lovers, Uganda boasts of a number of mountains like the volcanoes of Muhavura, Sabinyo, Mgahinga in southwestern Uganda and mountain Elgon in eastern Uganda. You can also hike to the top of Mountain Rwenzori that is 5901m above sea level which is also the longest block mountain range in Africa. Beyond gorilla trekking in Uganda, Uganda is one of the African countries with the most hospitable people on the African continent with over 65 tribal groups with amazing cultures and norms. 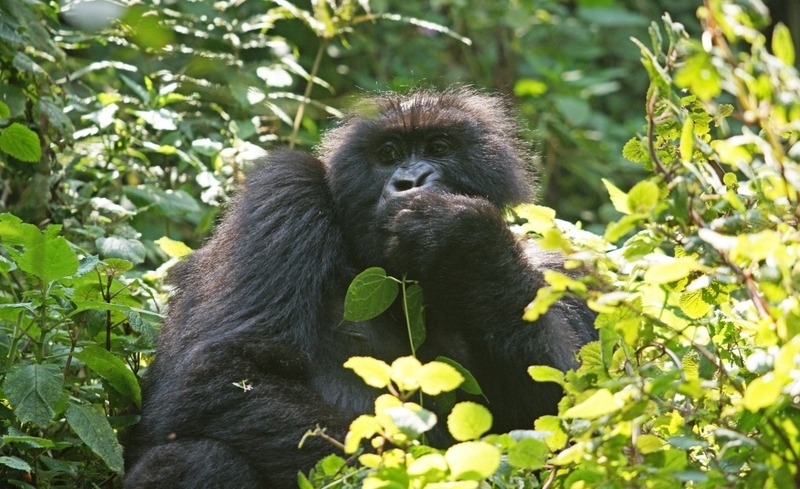 Contact Prime Uganda Safaris for more details on how to organize your gorilla tour in Uganda combine it with other tourist Uganda safari activities for those ultimate African memories.